When these games came out, they defined what adventures should be. Since then, they have become the most popular and sought-after titles in history. Now you can experience the re-release of two complete, classic games, enhanced with all-new cinemas and features never before seen in the U.S. 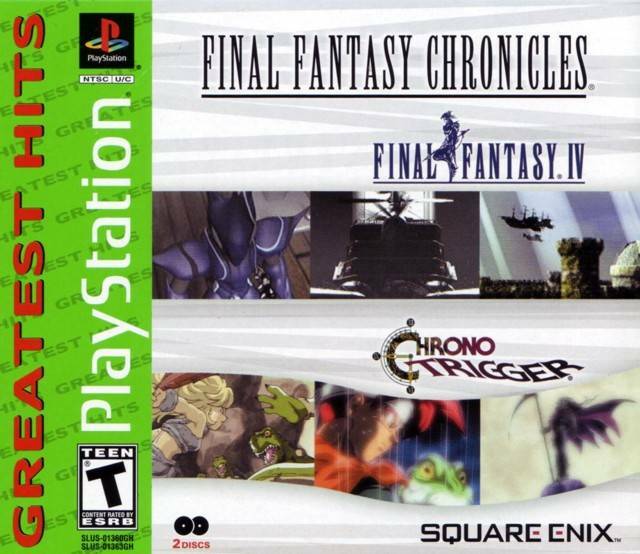 Final Fantasy IV was previously released as Final Fantasy II, but has been completely restored with new magic, monsters, items, CG cinemas, and added features. Chrono Trigger is a re-release of the original game. This time-traveling prequel to Chrono Cross is enhanced with all-new animated scenes.